Iowa law allows for it, but those attempting to get involved should be careful. While there’s the rare case of a do-gooder stopping a robbery or vandals, most cases of citizen’s arrest aren’t quite as glamorous. They’re security guards who stop drunk people from fighting or detain shoplifters until police can arrive. make a citizen’s arrest was an important part of law enforcement. Sheriffs relied upon able-bodied people in towns and villages to help enforce laws within their jurisdictions. a good witness than getting involved in an attempt to detain or arrest another citizen. an individual for shoplifting, says Sgt. Dan Wade, the spokesman for the West Des Moines Police Department. Security guards or retail businesses call West Des Moines police daily about suspected shoplifters who have been detained, so police can respond and then determine whether there is probable cause to arrest the individual and file a charge, he says. Anytime a private person attempts to detain another individual, there are legal considerations, Wade says. “The last thing we want is for someone to interject themselves in a scenario in the attempt to do something good and get hurt,” he says. West Des Moines Police operate a citizen’s police academy, but those who take part in the academy are not trained in citizen’s arrest tactics, nor is the right under law even discussed, Wade says. 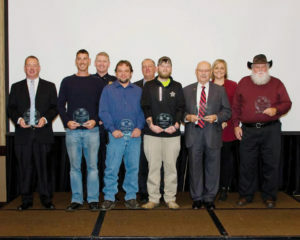 Each year, through the department’s crime stoppers lunch, Des Moines Police recognize citizens who have gone above and beyond to assist law enforcement and protect the community. Some of these individuals utilized their right under Iowa Code to detain another individual until police arrived. Resident Benjamin Stodden saw two hooded figures approach a nearby convenience store in 2017 while he was watching TV in his home. He feared the clerk was going to be robbed, so he checked on the situation. When he arrived, he saw a struggle taking place, and one suspect attempted to take the cash register. Stodden chased the individuals from the store and the area yelling, “You better keep running,” according to the clerk whom police interviewed. Residents Rich Bishop and Byron Barnard also were recognized for their response to a crime they witnessed when they saw a car being stolen. They called police to report the crime while following the driver. Attempts to contact each of these individuals to discuss their situations were unsuccessful. Police officers say they appreciate assistance from community members at any level from eyewitness accounts to apprehension of offenders, but they caution do-gooders from becoming part of the crime, such as pursuing someone in a high-speed chase or endangering themselves by restraining another. “We definitely recognize when they go above and beyond to keep our community safe,” says Sgt. 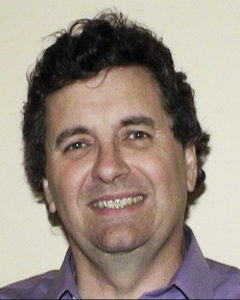 Paul Parizek, the public information officer for the Des Moines Police Department. “But those aren’t decisions we can make for them, and we encourage them to do what they can and keep as safe as possible. “We encourage people to be the best witnesses that they can. There’s a heck of a lot of risk there in trying to intervene and detain someone,” he says. The Iowa Supreme Court last month issued an opinion that said Iowa Department of Transportation motor vehicle enforcement officers don’t qualify as private persons as defined in Iowa law and did not have authority to issue traffic citations outside of their jurisdictions as allowed by law prior to May 11, 2017. In the case of Rickie Rilea and Timothy Riley v. Iowa Department of Transportation, motor vehicle enforcement officers had separately cited the men in 2016 for speeding in a construction zone. The Des Moines Police Department and IMT Insurance in 2017 recognized these individuals for assisting law enforcement and saving lives. Photo courtesy of the Des Moines Police Department. They argued the motor vehicle enforcement officer did not have the authority under Iowa law to issue the citations for violations unrelated to operating authority, registration, size, weight and load. A Polk County District Court judge determined IDOT’s policy of enforcing laws outside of those as stipulated by Iowa law at the time Rilea and Riley were issued citations was illegal even in circumstances when the offense was observed in the officer’s presence. IDOT admitted it lacked authority to issue the citations for matters other than operating authority, registration, size, weight limit and load, but argued its officers had citizen arrest authority, under Iowa Code 804.9, for violations that occurred in their presence. The Supreme Court concluded the officers lacked authority during that time period to stop vehicles and issue speeding tickets or other traffic citations that did not relate to operating authority, registration, size, weight and load. The Supreme Court also said the section of Iowa law that pertains to arrest by a private person did not pertain to the officers, who the district court described as “state actors” who drive marked cars with lights and sirens and who possess radar guns to catch speeders. This isn’t the first time the court system has denied a “citizen’s arrest” claim. Prosecutors arrested a Dubuque man in 2016 and charged him with assault while displaying a weapon after the man claimed he tried to make a citizen’s arrest of a woman he claims was peering in his window and was going to burglarize him. Police didn’t immediately arrest the man, nor did Dubuque County Attorney Ralph Potter immediately charge him. In his more than 40 years of practicing law, Potter says this was the first time a “citizen’s arrest” claim had been used as a defense. Dubuque police investigated the incident and put together a case to present to Potter, who says he determined the man was not justified in his actions and that the woman did not commit a crime. Part of the reason for that decision was that the man claimed he saw a woman sitting next to his house. It was a hot day, so he talked to her and offered her a bottle of water. The woman told the man she was cooling off in the shade. The man left the area, drove around the block, and when he returned, he claimed he saw the woman trying to open his window. The woman said that never happened, and police agreed with her. Police say he also over-reacted when he forced the woman to the ground using a gun, which he lawfully possessed. “It’s hard to argue you’re in fear when you go out and have a 15-minute conversation and offer a bottle of water,” says Lt. Joe Messerich, the public information officer for the Dubuque Police Department. Potter says the man did not have a criminal record, so he decided to offer him a lesser charge of disorderly conduct for putting someone in unreasonable fear, which the man accepted. A judge then issued a deferred sentence, so the incident would not remain on the man’s record. Messerich says the department occasionally sees other types of citizen’s arrests occur, but none have been committed at gunpoint like the Dubuque case. “Where we typically see an arrest by a private person, (he or she) isn’t holding someone at gunpoint,” he says. Des Moines Police more commonly see an arrest by a private person in the form of a security guard who might detain a person for a misdemeanor crime until law enforcement can arrive to determine whether to arrest the individual, Parizek says. Ralph Potter, the Dubuque County attorney, determined in 2016 that a man who had used a gun to hold a woman in a case of “citizen’s arrest” had actually broken the law and charged him with assault while wielding a weapon. The man later plead guilty to disorderly conduct. Photo courtesy of Dubuque County. Some individuals can go further in the detainment process than the average citizen because they have more training. Security officers, private investigators and bail enforcement agents or bondsmen fall under their own regulations, according to Iowa law. Security guards are required to submit to a criminal background check and display an Iowa Department of Public Safety-approved identification, license and apparel while working. They are not allowed to make a statement with the intent to give the impression they are a peace officer, according to Iowa law. 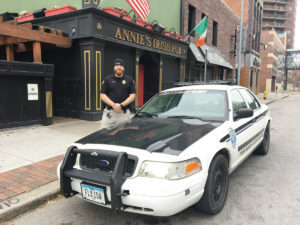 Andrew Cooper, director of training and public relations for Midwest Security Patrol and Investigations, says most of his company’s 72 security officers handle security for bars, hotels and private properties that include junkyards where theft often occurs. Each security officer receives training that includes learning to recognize threats and how to use detainment equipment. The amount of training dictates what type of equipment such, as handcuffs or a firearm, is on their duty belt. One Midwest client has had a problem with theft from its business site, so security guards have had to detain offenders and hold them at the site until local law enforcement arrives. It’s then up to police whether to arrest the individual. Not all of Midwest’s security guards are trained in the area of citizen’s arrest, but those who are do so at the request of clients to keep patrons safe and for the officer’s own safety, Cooper says. Oftentimes, this happens to end fights at establishments located along Court Avenue. Cooper says that he thinks most people recognize security officers have a job to do, can detain them if they commit a crime on personal property, and resist fighting them. If a person resists a police officer who is attempting toarrest or restrain him or her, he or she could be charged with interference with official acts. If the person resists a private person or citizen trying to make an arrest, the line gets a little fuzzy. Messerich says the detainee could be charged with assault depending upon the extent of his or her resistance. “They’re already violating the law, so continuing to resist the person who’s holding them down is a continuation of their flight,” he says. For example, a shoplifter fights with a clerk who is trying to prevent him or her from getting away, and the fighting escalates to the point the clerk is harmed. Likewise, a citizen can’t hold a person unless an actual public offense has occurred as outlined by Iowa law. Otherwise, that person could be charged with kidnapping, false imprisonment or assault while displaying a weapon like the man in Dubuque initially was. In an unrelated case, a Dubuque bail bondsman has been charged with felony kidnapping, felony unlawful restraint and misdemeanor battery after he detained a man earlier this year in Illinois on a Dubuque County warrant. Bondsmen or bail enforcement agents are required to obtain a license from the state, to notify the law enforcement agency where the defendant is believed to be present, and follow other stipulations as directed by Iowa law. Police claimed the bondsman unlawfully detained/arrested the man, took him to the ground several times, handcuffed him, forcibly removed him from his residence and placed him in the bondsman’s truck. According to court records, the man had to be taken to the hospital for injuries allegedly sustained at the hands of the bail bondsman. The case is still ongoing in Jo Daviess Circuit Court in Illinois, and the man’s next appearance was scheduled for Dec. 13, according to the circuit court’s office. Parizek with the Des Moines Police Department says it’s important residents or private persons who attempt to make a citizen’s arrest are aware of what’s happening around them and with the person they’re trying to detain or stop. It’s important to be aware of the actions of the person being detained because they could retaliate or resist if there’s any question as to the identity of the arrester. What does Iowa law say? Arrests by private persons: A private person may make an arrest: 1. For a public offense committed or attempted in the person’s presence. 2. When a felony has been committed, and the person has reasonable ground for believing that the person to be arrested has committed it. the circumstances, provided that, if the arrest is lawful, the private person assisting the officer shall by justified as if the arrest were a lawful arrest, unless the person knows that the arrest is unlawful. directed by a peace officer to make the arrest, even if the person believes that the arrest is unlawful or the arrest is in fact unlawful. other person would be justified in using if the officer or other person were arresting such person(s).